The AGA-IgG blood test is one of a panel of five celiac disease blood tests used to screen for and diagnose celiac disease. It's also been used to help identify non-celiac gluten sensitivity, although medical research shows it isn't particularly accurate for that purpose. AGA stands for antigliadin antibodies, which are specific antibodies produced by the body in response to contact with gliadin, a part of the gluten molecule. IgG stands for immunoglobulin G, which are general-purpose antibody molecules. A positive AGA-IgG blood test indicates that the body may be mounting an immune system response to gluten ingestion, but it's considered less specific than other celiac blood tests. However, a positive AGA-IgG test can indicate celiac disease in a patient with IgA deficiency, which is a problem with your immune system that leaves you more susceptible to infections. 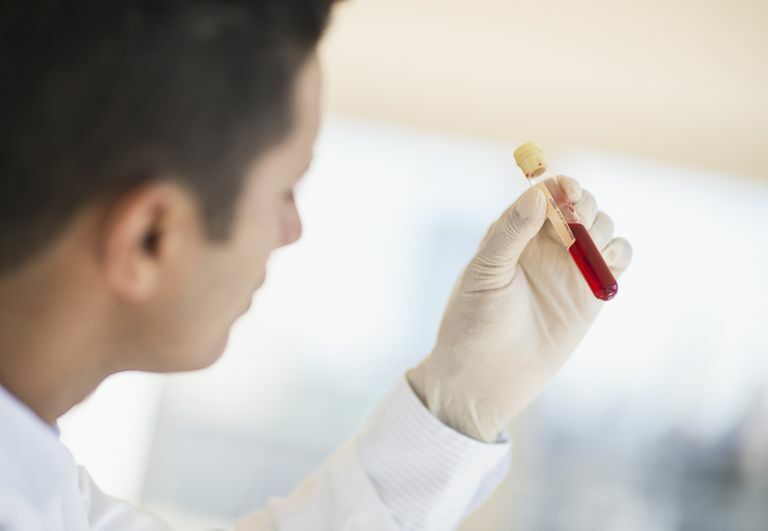 Since the AGA-IgG blood test can show your body is reacting to gluten (even if that reaction is not the specific one found in celiac disease), some physicians use the test as a tool to help them diagnose non-celiac gluten sensitivity. However, medical research hasn't shown the test to work all that well. In a 2015 study published in Clinica Chimica Acta (The International Journal of Clinical Chemistry), clinicians compared blood test results from people with suspected non-celiac gluten sensitivity with results from people with celiac disease and people with neither condition. After evaluating the data, they concluded that the AGA-IgG blood test isn't a very sensitive test for non-celiac gluten sensitivity, which means it misses some people who actually do have the condition. The AGA-IgG test results can help with diagnosis, the researchers said, but only if the results are combined with other factors. What Else Is the AGA-IgG Used For? Elevated AGA-IgG levels have been found in some children diagnosed with autism. In one study, autistic children who also had gastrointestinal symptoms had higher levels of AGA-IgG than autistic children without digestive issues. The AGA-IgG test also can be used to help diagnose gluten ataxia, a neurological autoimmune condition in which your body reacts to gluten ingestion by attacking a part of your brain. Gluten ataxia can cause a loss of coordination that affects your gait, your balance, and even your eyes. A consensus report from top researchers in the field of celiac disease and non-celiac gluten sensitivity advises physicians to use the AGA-IgG blood test in concert with other blood tests if they suspect gluten ataxia. Infantino M. et al. Diagnostic accuracy of anti-gliadin antibodies in non-celiac gluten sensitivity (NCGS) patients: A dual statistical approach. Clinica Chimica Acta (The International Journal of Clinical Chemistry). 2015 Sep 22. pii: S0009-8981(15)00426-X. Celiac Disease Center at Columbia University. Serologic and Genetic Testing (fact sheet). University of Maryland Center for Celiac Research. Celiac Disease Frequently Asked Questions (fact sheet). I Have Gluten Sensitivity – Am I at a Higher Risk for Cancer? Can EnteroLab Testing Tell If You Have Celiac Disease?